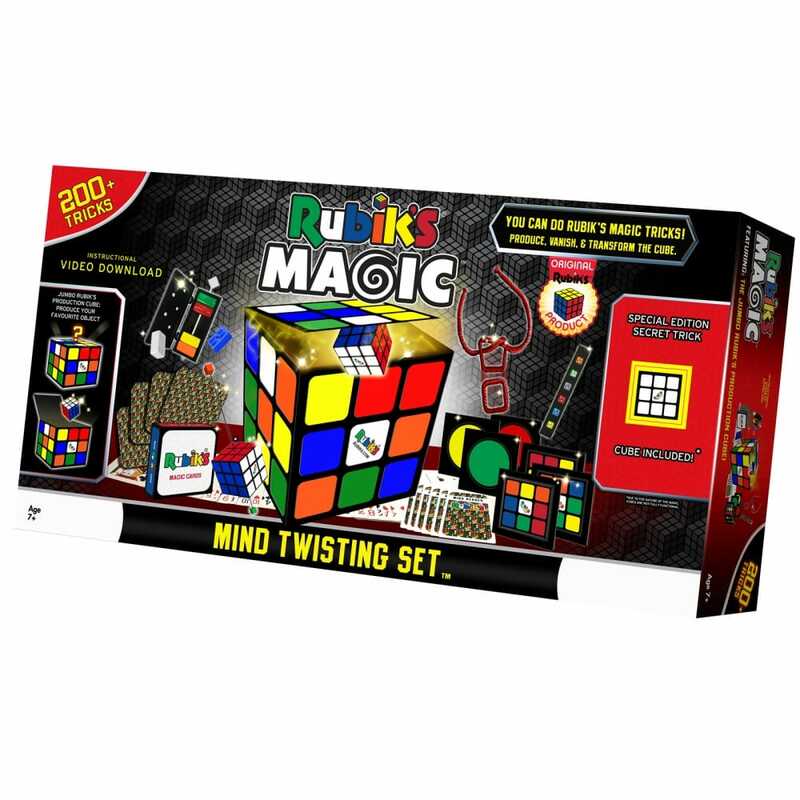 The Rubik's Magic Mind Twisting Set lets you produce, vanish and transform the iconic Rubik's Cube! Includes over 200 tricks to wow and impress your friends – just like a real magician. A special edition secret trick cube is included and featuring the jumbo Rubik's production cube to produce your favourite objects and an instructional video to download. Contents: Rubik's block escape, Rubik's cubio, instructional booklet, Rubik's magic cards, Rubik's mind reading cards, Rubik's cube prophecy, Rubik's square knot, Rubik's hot rod and Rubik's production cube.